As a first year you often hear people telling you that there is no rush to get experience and that you’ve got plenty of time. But if you consider that your first year accounts for a third of your university life, then suddenly it doesn’t seem so mad to get stuck in from the start. Before coming to Warwick I didn’t really know what career path I wanted to take (how many people really do?) but I’ve always been keen to make the most of opportunities, get as much experience as possible and then hopefully use this to help me narrow my career choices down….and make a decision. When I was living in Italy before moving to England I was always the type of person to keen to try new things and get involved. 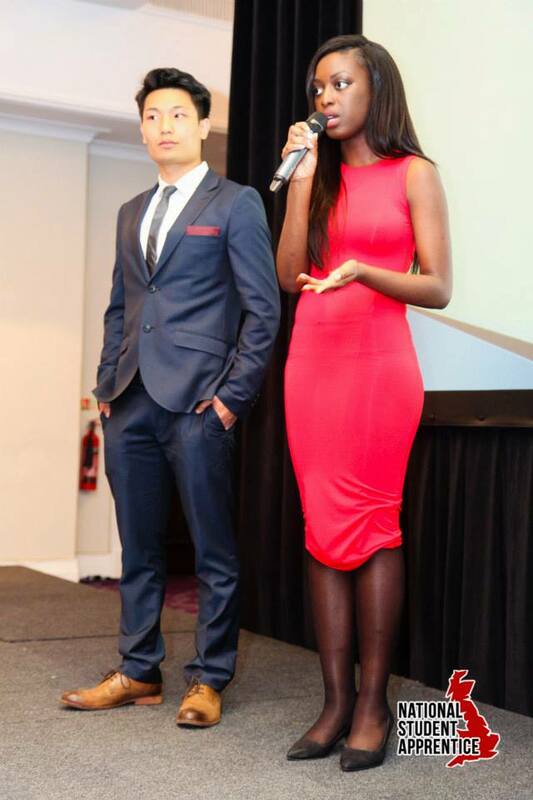 When the chance came to take part in the University of Warwick Apprentice Competition I didn’t really hesitate! I knew it would be a challenge as I had no business experience whatsoever, in fact I barely knew what business was. After all my degree subject – politics and sociology – is hardly synonymous with business. But I thought it would be a fun experience and as a first year I was keen to try everything in my reach. Little did I know how much I would learn from taking part in the competition! It started out as a general interest which was developed from watching Alan Sugar’s Apprentice to one of the best and worthwhile experiences that I have ever had. I was able to gain a variety of skills such as communication, public speaking, sales, marketing and the list goes on. I met so many new people within the university. I thoroughly enjoyed the competition and I was delighted that I finally found something that I was good at and that was business. Luckily enough one of the judges of the competition actually worked for the consultancy firm Ernst and Young and through him I got to know what consultancy involved and he furthermore explained to me the career sector. This was very valuable to me, because prior to the competition I didn’t even know what consultancy consisted of, so not only was I able to find a role that I enjoyed through the competition, but I was also able to build key contacts. My team actually came second, but the last challenge which involved developing a business plan and presenting it formally to a panel of judges actually scored us 100%. Luckily we were still promoted to the Regional Apprentice in which we represented Warwick University. My team won and we were promoted to the National Student Apprentice in which we competed against Universities from around the UK. During the National Student Apprentice we had the opportunity to further consolidate our skills and also meet fellow students who were keen to gain entrepreneurial experience. In fact I was one of the youngest students there and I was able to use the skills which I gained from studying politics and sociology to my advantage. National Student Apprentice. I’m on the right. Through the apprentice competitions I learnt not to underestimate myself just because I wasn’t doing a particular degree, so when the opportunity came to do work experience at Bloomberg which is a financial services company, you bet I applied; even though I barely knew anything about finance. One of the things which I loved about having all these apprentice experiences was the amount of valuable examples it gave me to talk about during interviews. During my interview for Bloomberg the majority of my time was spent talking about the skills I developed through the apprentice competitions such as leadership, team work and creativity. 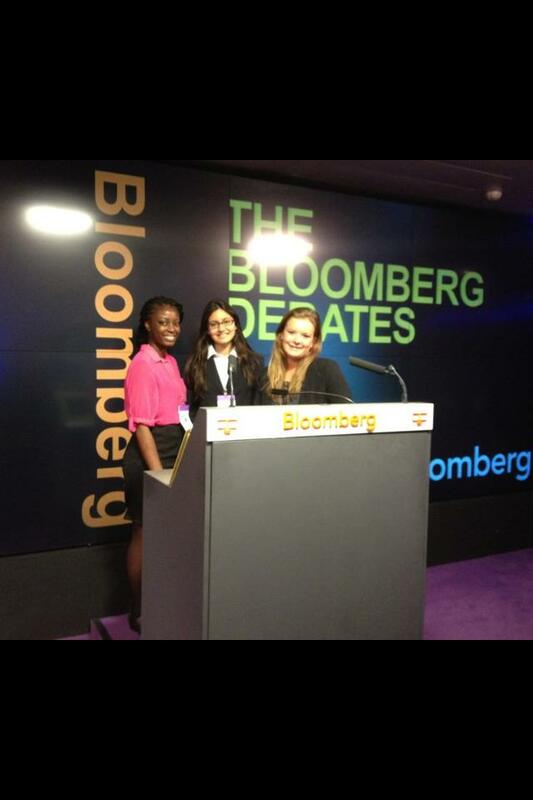 This led to me gaining a place at Bloomberg for the work experience and in fact winning the Bloomberg Great Debate which occurred on the last day of my placement. The Bloomberg Great Debate: I’m on the left. This all leads to me saying that your degree subject doesn’t matter too much. You can get experience regardless – don’t allow yourself to be pigeon-holed. I am now going into my second year of university and I have taken part in a Pathways to Law programme at the London School of Economics, participated in the National Student Apprentice, gained valuable experience at Bloomberg, became Chief Operating Officer of Warwick Entrepreneurs, regardless of the fact that I studied Politics and Sociology. Your degree is only a fraction of your package, what you do with it is what really counts and getting as much experience as possible will enable you to stand out in today’s competitive job market. Tags: competitions, Work experience. Bookmark the permalink. Previous post ← What kind of LinkedIn user are you? This is a lovely experience, I wish you more progress in yr career. Well done!!! This amazing.